Thank you so much for your commitment to Winterhaven! Our math and science focused curriculum makes our school one of the most desirable and successful in Portland. In the midst of continuing budget cuts, though, we always have more needs than resources. The PTSA helps fill the gap by providing essential support to teachers and enriching activities for our children. To support this work, we ask each family to make a contribution of $250 (or more) per child. This simple, one-time pledge is an easy way to provide vital support to Winterhaven! $15,000 to directly support teachers, including significant support for field trips and a grants program for materials and special projects. Because of the strong support of parents, the PTSA is able to provide for myriad other programs, too – fun community events (the annual Pool Party and Carnival), support for the learning gardens, additional art equipment (e.g., a kiln), new PE equipment, a change of clothing fund, author visits, emergency lunch money, 8th grade graduation support and more. Your donation of $250 goes a long way towards creating a better school for all our children. Of course, a gift of any size is appreciated! Truly the most important thing is that the WHOLE community engage in this effort. When we all participate together, we make a HUGE difference! We’ve heard that some grandparents, relatives, and friends wanted to contribute. FANTASTIC! Additional pledge packets are available at the school’s front desk. AND please remember to inquire at your place of employment about matching donations, many companies have such programs available (inquire with your companies HR department – Winterhaven School PTSA ; 3830 SE 14th Ave., Portland OR 97202 ; Tax ID # 936039299. And be sure that the Tax ID matches! 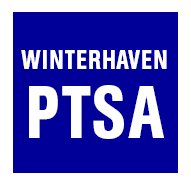 Winterhaven School has its own tax id number and those funds do NOT come to the PTSA.) These matched dollars REALLY do add up. Donations can be made in cash, by check, or online, via PayPal. All donation information is strictly confidential. Click the tickets below to purchase a pair of Golden Tickets for this year's Auction. REMEMBER: You must be present at the auction to win to chose the item of your choice.